If you would like to experience both sailing and snorkeling in Cabo San Lucas Mexico, then look no further. 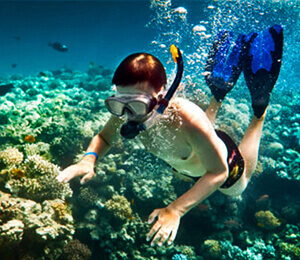 We have a variety of combination charters that include both sailing and snorkeling on the list of activities. Cabo San Lucas has magnificent conditions for sailing the entire year due to the unique geographical locatiion at the tip of the Baja Peninsula. At this point, the cool Pacific Ocean Westerly Winds meet the Sea of Cortes's warm waters. 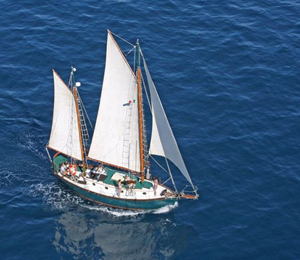 Sailing is a complex activity that can require a thorough understanding of local geography, navigation, and weather. 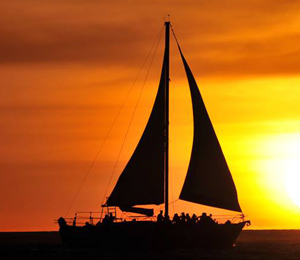 Sailing along the coasts of Cabo is one of the most relaxing activities you can do on your tropical vacation experience. Sailing trips with family and friends can end up as one of the most important bonding experiences of a lifetime. After sailing the beautiful and extensive coastline, you can follow up with an exploration of the unique tropical marine life on one of the many snorkeling tours provided. 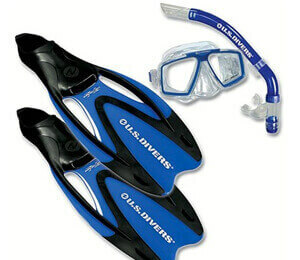 Try the Buccaneer Queen Treasure Snorkel if you want to ride a pirate ship that has been used in films and television programs, such as the 1995 movie Cutthroat Island. The Buccaneer Queen, a ninety-foot sailing vessel, will transport you through the cerulean waters of the Sea of Cortez on a swash-buckling adventure as you imagine that you are the scourge of the Seven Seas. Kids will love to pretend to be pirates, and adults will truly enjoy the breathtaking sights above and below the water on this snorkeling cruise. 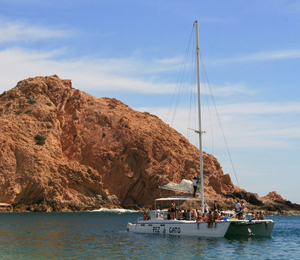 Also check out the Cabo Sail and Snorkel Cruise, a private sailing and snorkeling voyage to the famous Pelican Rock in cabo San Lucas' Marine Preserve. This amazing and one of a kind tour also offers views of Land's End, the Sea Lion Colony, and the world-famous Cabo Arch. 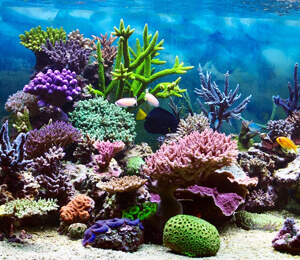 Amongst these eye-popping coral formations you may spot some of the following creatures: parrot fish, puffer fish, porcupine fish, clown fish, octopi, goat fish, and snapper, eagle rays, mantas, marine turtles, and white tip reef sharks. You may even catch a glimpse of frolicking sea lions or the rare massive whale shark.